They don’t usually do it on purpose, to be fair. We can blame it on poor memory recall, something so many of us suffer from. I’ve conducted studies where participants told me they used a feature on a daily basis. But when I looked at the analytics, I saw a different story: they only used the feature maybe every 3-6 months. Could it be a misunderstanding on the part of the participants around which feature I was asking about? Yep. Could it be that they just feel like they used the feature way more than they actually did? Yep. Either way, one thing’s for sure: when you’re designing, you need to pay attention to analytics —and you should integrate analytics tracking everywhere you can. The best way to begin: set up Google Analytics to track certain events. Google Analytics makes it easy to record custom click events. Toss some of those click events on tasks you want more information about, and you’ll have a goldmine of data to draw from. 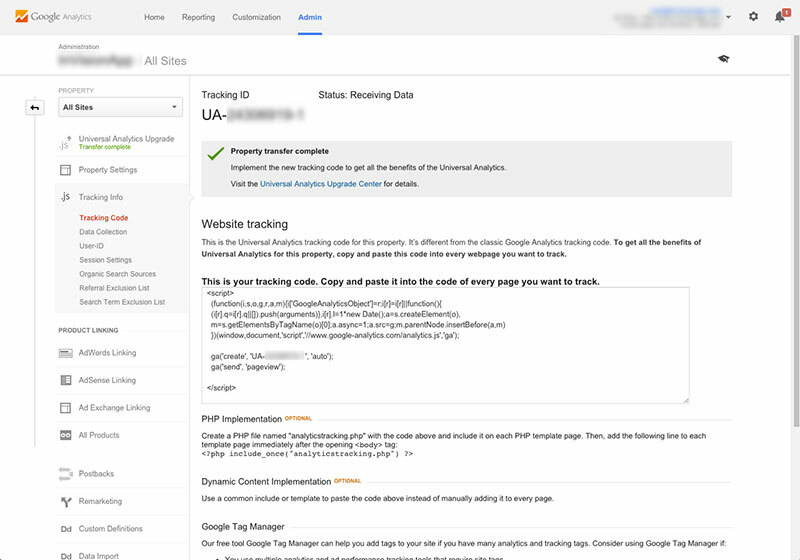 Once you’ve copied the tracking code, paste it before the closing tag in your site template. Now you need to decide what exactly you want to track. For example, let’s say I wanted to track how many times users click the Edit button, the Save button, and the Cancel button. This part takes some planning. When you’re setting up custom events, there are 3 parts to each event. Each part is called a parameter. When I pull a report, I’ll be able to organize my data based those parameters. Because they’re organized this way, I can find out how many events are occurring in the page content category as a whole (we could add tons more events to the page content category if we wanted to), how many aggregate times people are interacting with the page content buttons, and then I can get down to detail and see how many times each type of button is being clicked. Once you’ve defined your parameters, you just need to implement them. That’s it! You’re all set and tracking events! Should analytics tracking be the only form of user research that your company relies on? Absolutely not. Analytics data can answer very specific questions and help you track trends. But it cannot tell you why the data is coming in the way it is. You need to perform user research with real, live people as well. Mixing and matching your methods will help develop a more complete picture of what your clients are doing and the problems you need to help them solve. This post was originally published at UserExperienceRocks.com.